Hi, I’m Tasha! A forever 29 year old, born and raised in the south, wife to Mr. G, and mommy to two sweet boys, Weston and William. After working in the banking industry for 10 years, I recently resigned and accepted the highly demanding position of SAHM. Cloth diapers, monograms, smocked clothing, consignment sales, make up, sweet tea, crafting, cooking, baby snuggles, and toddler giggles are just a few of my favorite things! I’m excited for the opportunity to contribute to the mommy blogging world, and I look forward to sharing some of my experiences with you! I have always wanted to try a Bummis cloth diaper, so I was super excited for the opportunity to do a review on a few complimentary items from Bummis. I received a Flannel Fitted diaper, a Simply Lite diaper cover, and a Potty Pant. This diaper is adorable!!! I have a thing for woodland creatures. I always got owl everything for Weston when he was a baby, and now I get everything fox for William. I just asked for a boy print, and it was a coincidence that I got one that I would swoon over anyway! I’m in love with the super cute print. The sherpa cotton lining is soft and luxurious. It’s organic and feels great against your skin. The elastic around the waist is much wider than many other diapers. I love this a lot, because it seems like it would be so much more comfortable for my little one, and doesn’t leave those nasty red marks on his skin. I only have a couple of fitted diapers in my stash, because I find them bulky and awkward, but this diaper/cover combo is much trimmer fitting than most I’ve seen. If you love fitteds, but dislike how they fit under clothes, this might be the diaper for you! This is considered a one size diaper, with adjustable rise snaps, that will fit most babies from about 10-30 pounds. My little guy is about 18lbs now, and this fits him great, with tons of room to grow. I hate that I have to cover up such a cute printed bum! Alas, the world of fitteds! Since they are not waterproof, a wrap or cover will need to be used over the diaper. I would like to see this diaper come with some type of a booster for heavy wetters or extended wear for naps and travel. William is a pretty heavy wetter, so as is, I wouldn’t feel comfortable putting this diaper on him for a long nap time, but with one of their boosters, it might be an option. I wish there was an option to choose a specific print. For now the option is either masculine, feminine, or gender neutral when ordering a print. So if you fall in love with a specific print and want more than one, you may not have that option. Overall, I’m very pleased with this diaper. It’s very well made, with high quality materials. It fits my son really well, with potential to grow, and it gets the job done. With a price tag of about $25, the Flannel Fitted may seem a bit pricey, however; the materials and manufacturing are done in the USA and Canada, and let’s not forget the organic cotton lining. This diaper is definitely one of the best fitteds I’ve tried! I received an Ocean blue cover to pair with my fitted diaper. I love the bright blue color. This would be cute for a boy or a girl, and coordinates nicely with our woodland print fitted. The name speaks for itself – the Simply Lite Cover is simple. With one row of snaps, this diaper cover is easy to just snap right on over a fitted, prefold or flat. 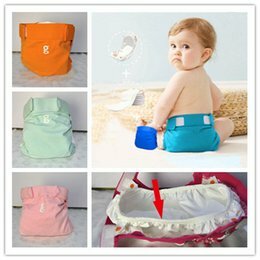 The cover is soft and flexible, with just the right amount of elastic to hold everything in, but not leave red marks on baby’s skin. This is a one size cover, with adjustable rise snaps designed to fit baby from about 8-35 pounds! I love the idea of being able to use this cover from newborn up to toddler. There are also some really cute prints to choose from! My little guy is only 7 months and about 18 pounds, and I already have to unbutton the cover to the full size to get a good fit. My boys are tall for their ages and have longer torsos, so that could be the main problem. While the flannel fitted has a lot of room to grow, I’m not sure this cover will be an option for us several months from now. If your babies aren’t in the 98% for height like mine, then this may not be a concern for you. Overall, I’m really pleased with this cover. It’s attractive, soft, and made of high quality fabrics. This cover would also be a great option for prefolds or flats. You can purchase them for $16.95, and the beauty of waterproof covers is that you only need a couple per day, because you can simply wipe them clean and reuse! I received the denim dot print Potty Pant. This trainer comes in 3 options, white, denim dot, and pistachio dot. There are 4 different size options, ranging from small to extra large. Weston is about 40 lbs now, and the XL fits him wonderfully. These are like wearing big boy undies, but with secret powers. They look and feel much like regular underwear, but have layers of special fabric inside to help prevent leaks when accidents occur, along with a waterproof outer. They are super trim, and just a little thicker than regular undies, so they look great under clothing. I love the stretchy side panels. They make this trainer comfortable, flexible, and easy to pull up and down. They are easy to wash and dry quickly too. I love that these training pants are a one stop shop. There aren’t any inserts to replace or snaps to adjust. Pull them on or pull them off, it’s that simple! I wish there were more than 3 colors/prints to choose from. While I love the polka dots, they aren’t very masculine for little boys. It’s hard to convince my little guy to wear these over regular underwear with pirates when we need a little extra protection. Overall, I really like these trainers. They fit great and are made very well. I love the option to have a little bit of a back up plan, without going the route of a diaper and possibly hurting your toddler’s growing self confidence. With a price tag of $15.95 each, these trainers seem to be well worth the price. With high quality, comfort, and ease of use, I would love to have a few more for my potty training toddler! While I may have passed over Bummis in the past because they are slightly higher priced than other brands, I have to say, you get what you pay for, and that is quality. In addition to that, you get a product made in North America – that means they are held to the highest of production standards, and you can trust that it’s a product that is safe for your baby. Knowing that makes this product worth a few extra dollars to me! You can purchase each of these Bummis products at many cloth diaper retailers – find a local or online retailer here. What’s your experience with Bummis? Have you tried any of their products or have any of these 3 on your Fluffy To-Buy List? i like that they are made in north america. more items should be made in the us. The potty pant looks nice too! Would love to try it.